SSUP or Aadhar Self Service Update Portal is the online Aadhaar details update portal. 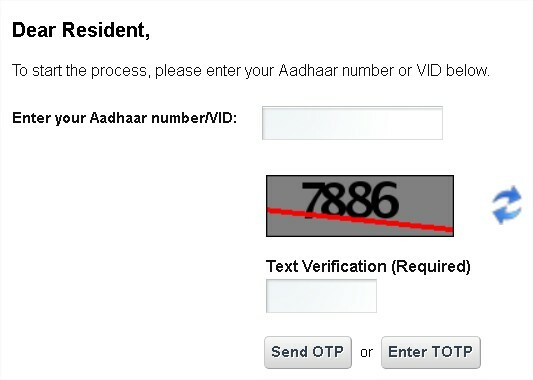 It is handled by the UIDAI or Unique Identification Authority of India. This organisation takes care of each and everything related to Aadhaar cards across the whole country. With the help of the SSUP Portal or Aadhaar Self Service Update Portal, you can technically change or correct details of your Aadhaar card just by sitting in your home. It is a rather convenient measure that has been up and running for quite some time. However, currently, only the Address details can be altered online. In this article, we will specify on the intricacies of Aadhaar Card updating, both offline and online (SSUP Update Portal) along with some other relevant information. The use of the web portal is fairly straightforward. The whole process will be explained in steps. As mentioned before, the Aadhaar card details can be updated online itself. It is extremely convenient to get these done easily with just a single click of the mouse. However, since January 2018, the updating section has had a massive overhaul. As of now, you can only change the address through SSUP Portal, given in your Aadhaar card, technically. All the other attributes such as Name, Date of Birth, Email ID etc. can’t be changed through ssup update online. With the growing trend of Aadhaar seeding for authentication purposes, this measure was taken in order to divert the traffic from online to the live Enrolment Centres. The Aadhaar Number is the regular 12-digit numerical string that is allotted to you as a measure of identity authentication. Enter the same in the space given, as given in the uploaded photo. However, there is another option as well. If you don’t want to enter your Aadhaar number, irrespective of your reasons, enter the 16-digit Virtual ID which can be generated in the official website of UIDAI. The Virtual ID is helpful in giving out the necessary details about your Aadhaar card only. It will not get your sensitive details such as the Mobile Number or your email id out in the open. Choose the option that you want to and move ahead with the edit of the Address. Edit the Address that you want it to be and upload the supporting documents citing your claim. The request will take around 2-3 weeks to get materialised. Your address will determine the nearest Enrolment Centre where your Aadhaar card will come at. You’ll either have to go there and collect it yourself or it will take some time to get it posted to your address successfully. Subsequently, to update the Aadhaar card details other than Address, you will have to get it done offline. It is a bit of a hectic task, so to speak. Otherwise, the process is technically not that difficult. In order to get your Aadhaar details updated offline, you need to follow these few steps carefully. The process is fairly understandable to the public. Once you have located the nearest Enrolment Centre, visit it along with the supporting proof documents accordingly. The proofs are mandatory in order to get your thing done successfully. The uploaded proof documents will be cross-checked by the UIDAI authorities. The whole process would take around 2-3 weeks to get completed. Once you have deposited your application form along with your supporting proof documents, you will get an Acknowledgement Number. With the help of it, you can search for the status of your application straightaway online. With some delay, you can approach the same center with the number for grievance issues. Once you done the necessary correction changes, you can track the stats of your update application right over here. Make sure to note down the URN number. URN Number – Update Request Number is a 14 digit unique number allocated to users who update their aadhar card details online. How to Track SSUP URN Status? Make sure to visit the official SSUP Portal website to track the ssup URN status. If you have any doubts related to Aadhar self service update portal do leave a comment here.